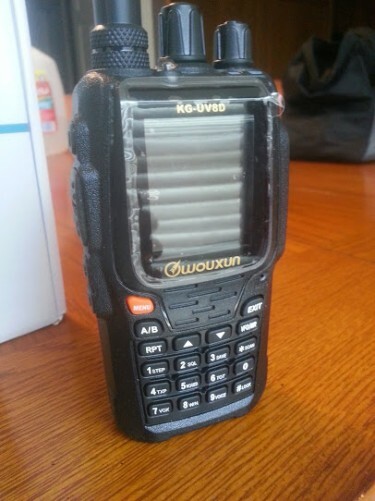 If you are on my email list, then you know that I received a shipment of the new Wouxun KG-UV8D HT radios last week. I’ve already sold about half of them, and have placed by 2nd order. You can also find them on Amazon and Ebay for some fairly decent prices. Wouxun has declared that the radio must have a minimum advertised price of $159. This comes directly from the vendor themselves. I’m not sure what the consequences will be if some online retailers advertise the radio for less than this price; perhaps a suspension or revocation of their Wouxun vendor account? Not sure. However, the $159, from my understanding, is a Minimum Advertised Price. In other words, I believe you should be able to have a sale or coupon and find it listed for cheaper, but that is just my theory for now. MTC and BuyTwoWayRadio both have this unit listed for $159.99. And of course I have it on my new website here. I am currently using one of these radios myself for purposes of writing a review here. You can expect to see that posted within the next week. I want to give it a good evaluation before posting my opinions of it, but so far I am really liking what I see in this radio. There is a $20 Coupon Code being offered by MTC until the end of May. This brings the price down to $139. I had mine for a few weeks now and really like it.